King.com, the maker of the popular ‘Candy Crush Saga’ Facebook game, is celebrating tonight — and for multiple reasons. It was 10 years ago when the company was founded and on Tuesday, it launched two brand new games, Papa Pear Saga and Farm Heroes Saga. In addition, the company announced that it will be dropping the “.com” from its name moving forward. All of this happened as its platform exceeded 108 million monthly players. Riccardo Zacconi, co-founder and CEO of the newly-minted King, said his company has “had lots of fun over the last 10 years making great games and we are honored to have acquired such a loyal fan-base.” He attributed the company’s growth to its mobile, Facebook, and cross-platform audience. 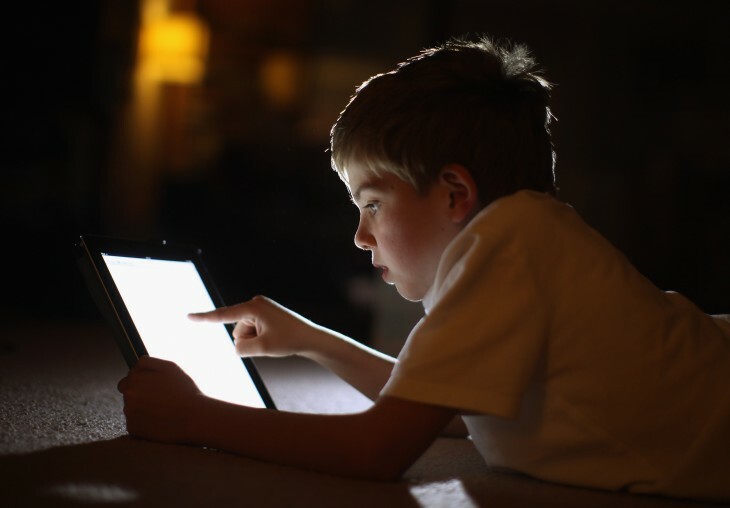 Indeed mobile has played a huge role in its success — after all, it was because of these portable devices that Candy Crush ousted Zynga’s FarmVille 2 earlier this year as Facebook’s top game. With Zynga still struggling to piece itself together after separating from Facebook, it’s not surprising that King has swooped in to take over the industry. However, the casual gaming company had best not be complacent because Zynga.com received an update last week that could help it take on the mobile space soon. Zynga’s CEO Marc Pincus said during the company’s Q4 2012 earnings call that its users are spending less time on Web-based games and more on mobile titles. The update to Zynga.com could be an indication of the social gaming company’s intent to cater towards the mobile audience. With that being said, King has announced that in addition to its 108 million monthly players, there are 12 billion gameplays taking place each month across the company’s entire network of online, mobile, and social games. With respect to its players, there are 49 million monthly mobile players and across all platforms now there are 50 million daily. Today, King is releasing to the public Papa Pear Saga and Farm Heroes Saga, which joins the company’s Saga portfolio such as Pet Rescue Saga and, of course, Candy Crush Saga. With Papa Pear Saga, King says that it’s an “inventive reinterpretation” of the Japanese Pachinko game and the first Saga game to be based on physics. Players must navigate through a colorful fantasy world where fruits, vegetables, and other objects appear and “break into dance”. The idea is to get as many pears to bounce on as many objects as possible before landing into one of several buckets and advancing onto the next level. As of right now, it is only available for desktop play, but a mobile version is coming both for iOS and Android devices. 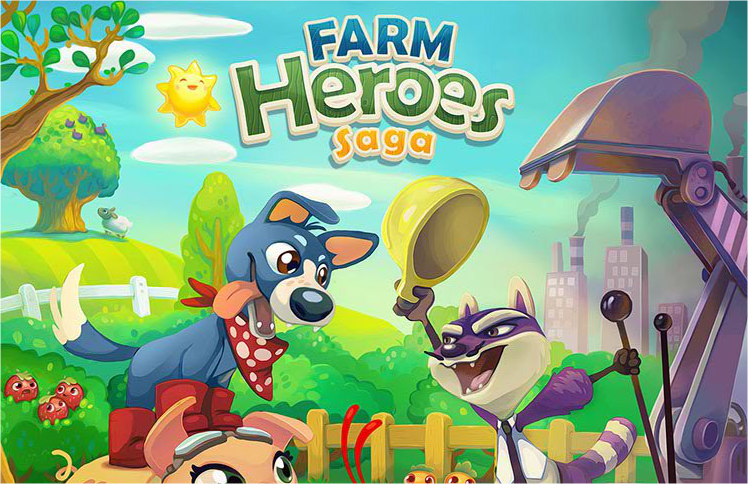 Farm Heroes Saga invites players to help three characters save “the world’s farms from the aggressive ambitions of Rancid the industrialist raccoon.” It’s a strategic game that uses match-3 and item collection features. King calls it the “most intricate Saga game yet” where players need to find a way through a level filled with multiple components such as collection targets, special missions, boss fights, avoiding blockers, and more. 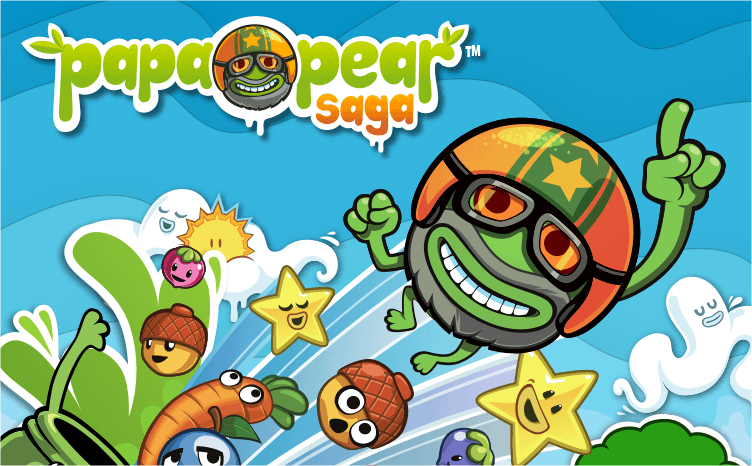 We went ahead and tested one of the newest games, Papa Pear Saga, and found it to be entertaining and perhaps addictive like one would find with Candy Crush Saga. It might be good to prepare yourself if you choose to play these games.